While most people consider Silicon Valley and Seattle to be the top tech hubs in the US; they are not the only options for geeks looking to forge a career and have an excellent quality of life. Even though San Francisco is a beautiful city with an abundance of tech jobs, it has become notoriously unaffordable even for well-compensated professionals. According to a recent article by Curbed, doctors making upwards of $200K a year cannot afford 58% of the homes in San Francisco. So for a young software engineer making a still impressive $152K a year at Google, the prospects of finding affordable housing are even lower. For Seattle, the skyrocketing cost of living is starting to make things equally challenging, with many junior tech workers finding their paychecks coming up short after paying for rent and other lifestyle expenses. With this in mind, new-to-the-game techies are wise to consider one of the lesser known industry hotspots that offer a lower cost of living but many of the same advantages as some of the more popular cities. With technology’s increasing sprawl, many large employers are branching out from their West Coast headquarters and setting up smaller shops across the country. This means that entrepreneurs with a vision and a budget can open startups in areas that have an overall lower cost without sacrificing life enjoyment or growth opportunities. Let’s explore some of these areas below and learn more about what they have to offer. Ready to feel that Rocky Mountain high? Not only is Denver consistently top-ranked for Forbes Best Places for Business and Careers, but this iconic city of the American West has also come a long way since its early beginnings as an 1800s mining town. Yesterday’s cowboys and gunslingers have evolved into a population of educated, forward-thinking outdoorsy types who enjoy an active lifestyle and taking things at a laid-back pace. With its usually sunny and dry climate, Denver allows for a range of activities for nature lovers with abundant hiking, camping, equestrian, and winter sports activities accessible within a reasonable driving distance. Average cost of living in Denver, CO, per Paysa data. While Denver isn’t an inexpensive town, the cost of living is far more reasonable than places like San Francisco, Seattle, and New York City. According to US News and World Report’s “Best Places to Live” survey, the average monthly rent in Denver is $1,049, and the average home cost is $314,021. Denver also boasts a generous earning potential for tech workers, with an average salary of $139K annually. This includes an average base salary of $98K, an average yearly bonus of $17K, annual equity of $23K, and a signing bonus of $10K. Average Denver tech salary, per Paysa data. Did you know that there’s an impressive mini “Silicon Valley” in the heart of America’s Rust Belt? At this point, Pittsburgh is home to dozens of co-working spaces, business incubators, and accelerator programs, with many innovative young CEOs and entrepreneurs choosing to call it home. Pittsburgh is also home to Carnegie Mellon University, which boasts one of the finest programs for those looking to study robotics, engineering, or computer science. Pittsburgh locals and transplants alike love this city for its friendly culture where people are known to go out of their way to lend a hand. While it hasn’t forgotten its blue-collar roots, the Iron City’s hardscrabble reputation is rapidly being revamped as it wins hearts and minds with its cultural diversity, rich culinary traditions, and high liveability. Average cost of living in Pittsburgh, PA, per Paysa data. Perhaps best of all, Pittsburgh knows how to pack a lot of bang for the buck. According to the national real estate experts at US News and World Reports, Pittsburgh locals pay on average, just $732 a month in rent and the average home costs just a little more than $141K. While the average salary in this city is just $46K, those working in the emerging tech sector have a far higher earning potential. 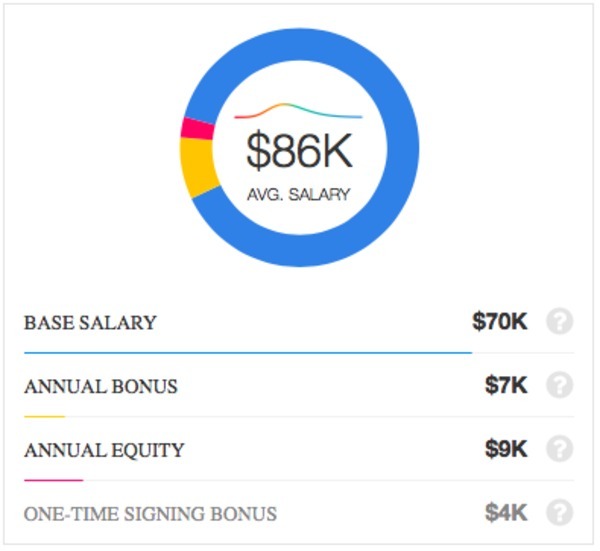 According to Paysa data, tech workers enjoy average annual earnings of $86K. This includes a $70K base salary, an annual bonus of $7K, annual equity of $9K, and a one-time signing bonus of $4K. Average Pittsburgh tech salary, per Paysa data. Known to many as “The Sixth Borough of New York,” Stamford has a lot more going for it than its proximity to the Big Apple. This medium-sized city offers many of the amenities that its larger counterparts do, including excellent train service, several public golf courses, and good public schools — not to mention a lot more bang for the buck than Manhattan. The city of Stamford is currently undergoing a rebirth, attracting high-potential Millennials from far and wide with a transformation of its downtown and waterfront areas. Additionally, several organizations, including Kayak.com have moved their corporate headquarters to Stamford, guaranteeing plenty of employment opportunities for young techies. Average cost of living in Stamford, CT, per Paysa data. For those who are looking for a bustling northeastern metropolis with a reasonable cost of living, Stamford fits the bill. The average employee in Stamford, CT earns 31% more than the national average, and this is also reflected in tech salaries. According to Paysa data, the average tech worker in this region enjoys an average annual salary of $127K. This includes an average annual bonus of $15K, a $9K sign-on bonus, and annual equity of $20K. Average Stamford tech salary, per Paysa data. There’s more to Texas than BBQ and ten-gallon hats. Austin is home to countless young entrepreneurs and budding techies. Its young, educated population, emerging food scene, and affordable cost of living are just a few of the reasons that top companies like Dell Computers chose to call Austin, TX their home. Austin has a reputation for being a “blue dot in a red state,” making it an attractive location for transplants from across the nation and around the globe. Average cost of living in Austin, TX, per Paysa data. Austin is a moderately priced city was a booming tech scene. A typical one-bedroom apartment will run you about $1,300 a month and a unit in a more expensive neighborhood will run you closer to $1,800. Its affordability also extends to doing business, making it a favorite spot for investors to start planting seeds. For those who are looking to make a high salary and not blow their entire paycheck every month, Austin is an excellent choice for living and working. 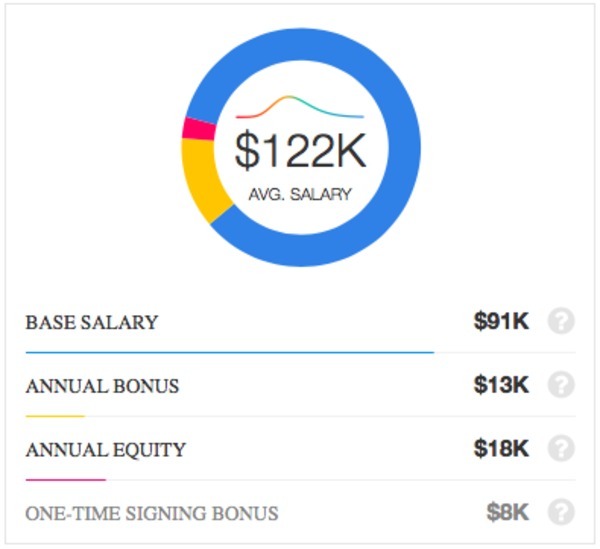 Tech professionals can expect to earn an average wage of $122K. This includes a base salary of $91K, an annual bonus of $13K, annual equity of $18K, and a one-time hiring bonus of $8K. 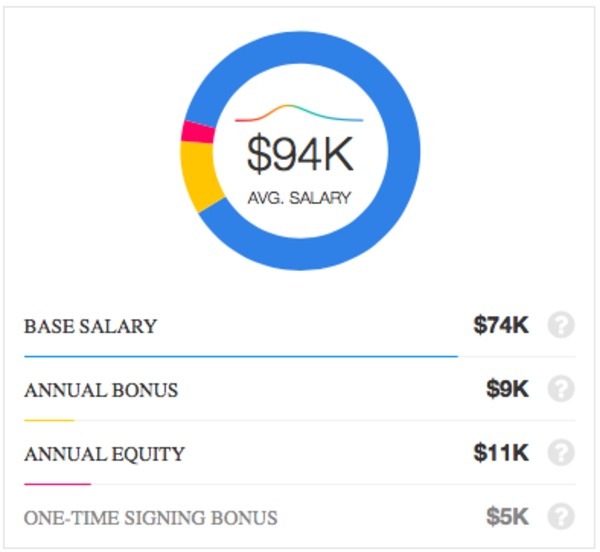 Average Austin tech salary, per Paysa data. Music-lovers and nerds rejoice! Nashville has so much more to offer than the Grand Ole Opry. Widely recognized as America’s Music Capital, this Tennesee metropolis has a thriving medical and biotech industry that’s attracting some of the world’s best tech minds to settle down and work. Lower taxes and a plethora of art, music, and food options mean that both individuals and businesses alike are finding plenty of things to love about Nashville life. Average cost of living in Nashville, TN, per Paysa data. Nashville is an affordable city, as far as thriving tech hubs go. Despite being called “The Next Silicon Valley” by many, the cost of living is far lower than places like San Fran, Seattle, and NYC. The median house price is about $225K, quite affordable considering that the average tech employee in Nashville can expect to earn $94K a year, with some earning as much as $119K. The average salary of $94K includes a base salary of $74K, annual equity of $11K, an annual bonus of $9K, and a one-time signing bonus of $5K. Average tech salary in Nashville, per Paysa data. While cities like San Francisco, Seattle, and New York will always be tech industry powerhouses, they have some competition joining their ranks. For those with the talent and determination to hack a hard-hitting tech career, there are a number of more affordable cities that don’t skimp on earning potential or lifestyle convenience. Want to find out the perfect location for your next big career move? Visit paysa.com and start exploring your earning potential and job openings by geographic region.